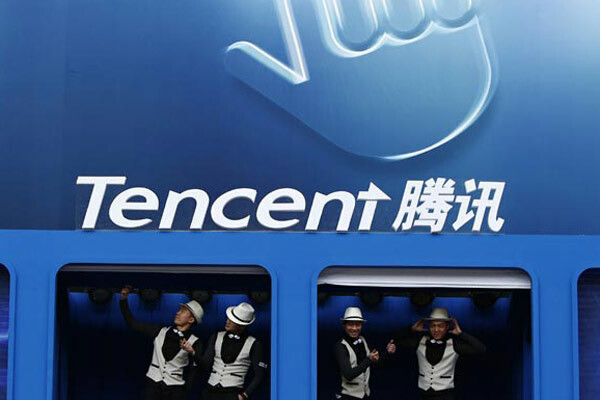 Tencent, with an estimated value of $44.7 billion, was crowned this year's Most Valuable Chinese brand on a list released by the Hurun Institute on Thursday, marking the second time in a row it came up on top. Taobao, subsidiary of Alibaba, came in second place, with a brand value of $42.9 billion, overtaking China Mobile, Baidu and ICBC. Of the 200 nominated companies, 101 are privately-owned, while the rest are State-owned enterprises. The total value of these 200 listed brands has risen by 36 percent year-on-year to reach $696 billion, with the top 10 accounting for 46 percent of the total value. Led by Letv, Anbang and Eastmoney, 26 newcomers are on the list; 70 percent are privately held. Mi was the fastest riser, with its value shooting up fivefold year-on-year, to come in at $7.3 billion, followed by TCL and Huawei. "While most Chinese brands remain unknown to the outside world, within China they are establishing themselves with ever more sophisticated campaigns," said Rupert Hoogewerf, Hurun Report chairman and chief researcher. Finance and real estate made up the backbone of home-grown brands, with 38 and 23 companies coming into the list respectively, and accounting for 30 percent of the brands on the list. Information technology was the third largest sector with 18 brands shortlisted. The total value of listed IT brands accounted for 22.5 percent of the list. Average value increased 10 percent. Beijing is the preferred headquarters location for the IT sector, and 12 listed IT brands set their headquarters there. The household appliance sector soared 74 percent, showing the biggest increase among top 10 sectors. E-commerce and retail followed, with their value up 69 percent. The medical health care sector climbed up 32 percent. The financial service sector increased 18 percent. The alcohol sector rose 17 percent. Food and drinks were up 11 percent.